The Costa del Sol has been promoted as a holiday location since the end of the 19th century, and even the very popular resort of Marbella was still only a small village well into the second half of the twentieth century. The phrase “Costa del Sol” simply means “sunshine coast”; this shows the main attraction of the area for the majority of its visitors, who come from northern Europe. It is not just a very sunny region; Malaga is the sunniest city in Spain. With 320 days of sunshine on average per year, the Costa del Sol is even sunnier than the Canary Islands. The city of Malaga is where most people will fly to, and has plenty of attractions, from culture to beach life. The Picasso Museum and also the Contemporary Art Center will be the main focuses for art lovers. There is plenty of history on show around Malaga too, from Roman remains to slightly more modern buildings. There is the Alcazaba fortress, dating from the 11th century, which also houses an archeological museum. Above the fortress is the Gibralfaro Castle, which was built about 300 years later as extra protection for the fortress. For culture-lovers seeking even more, then Granada is only 75 miles (120km) away. While you can enjoy the sun on Malaga’s beaches, and chill out on the seafront, most visitors traveling to the Costa del Sol head to the west of Malaga, to several well-known resorts. These include Torremolinos, Fuengirola, Marbella, and Puerto Banus. There are six main beaches in Torremolinos, Los Alamos, Playamar, Bajondillo, Montemar, El Saltillo and La Carihuela. All the beaches are linked by a long promenade just over 4 miles (7km) long; this is fully illuminated, and has lanes for cycling and skating. The old town center has not been as heavily developed as some of the neighboring towns. This is another place you can find miles of sandy beaches; it’s been a center for tourists since the 1960s. There are many foreign residents, making up around 25% of the population. The old port area is still used by the local fishermen; it’s close to the town center, and you can book fishing trips as well as go dolphin-watching from here. In Marbella, you can relax in the sunshine just as happily as anywhere else on the Costa del Sol, but it may be a bit more expensive. It is frequented by the rich and famous, not just as visitors, but as residents too. 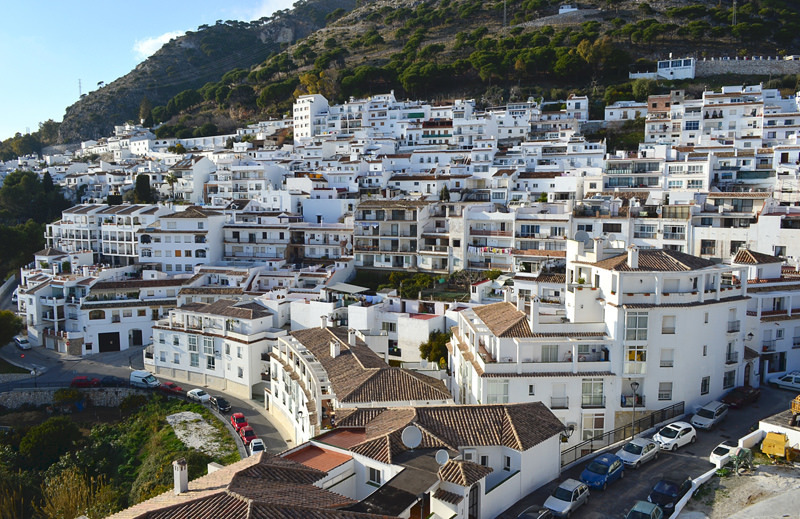 Southern Spain has developed a great deal over the last half-century, with holiday resorts and other properties rising up extremely quickly. This little port is just to the south-west of Marbella, and has come to be known as an even more exclusive playground of the wealthy. It was designed by an architect involved in the construction of Beverly Hills, and was given a very lavish opening in 1970. These different areas in the Costa del Sol cover a wide range of holiday travel options, from free packages right up to billionaire yachts. Being a well-developed region, there are plenty of transport options for traveling by road or rail.